The Office has been running for many years now. At first I was not a fan of the show because I didn’t really understand the dry humor and the way that the actors look directly at the camera to make a point was a little unnerving to watch at first. Now I am hooked on the show. I set a series recording on my new Direct.tv DVR so I can get and watch every episode without commercials! Yay! No commercials ever again! So anyway back to The Office. 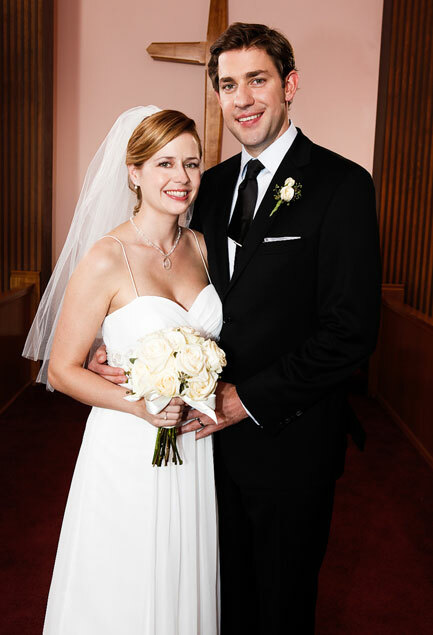 My favorite people on the show are Jim and Pam. They had a little office romance going for quite a while before they actually decided to start dating. Back in those days Pam was dating some guy from the warehouse but Jim would still flirt with her all day long to try to win her over. Finally they decided to get married so they went up to Niagra falls to have a small family wedding but of course the whole crew from their office had to show up to crash the party. Wow, Danny! You still have a ways to go before you get to the current season! I love The Office and I'm actually catching up on the series with my wife. She needs to get up to speed!!! Thanks for the post! Some of my friends did a spoof of this.